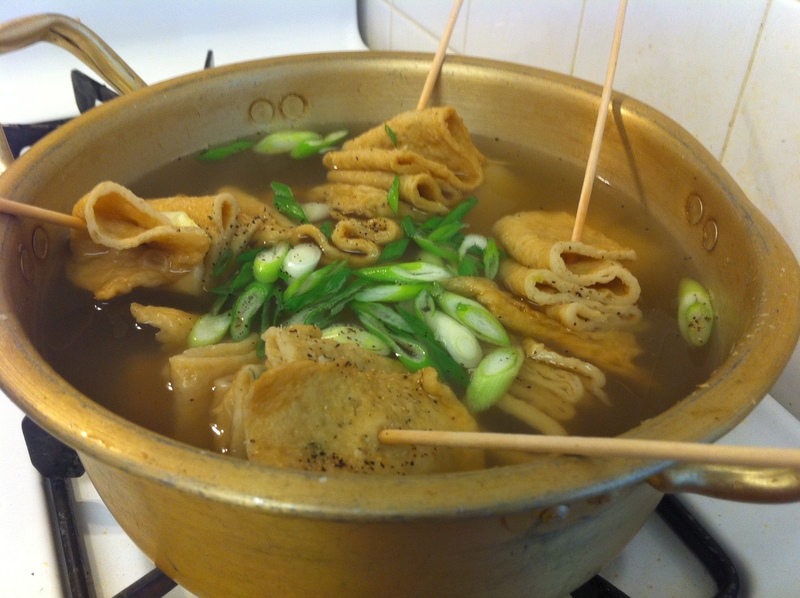 Aumuk-tang (어묵탕) is a delicious simple mild soup that is also one of Korea’s most popular street foods along with ttuckbokki (떡볶이). Aumuk is basically fishcakes that originated in Japan, which are usually made with lean fish grinded with seasoning and starch then fried. You can find them in any Korean or Japanese markets in the refrigerated or freezer sections. It looks nice to skew various shapes of aumuks on bamboo skewers but you can also cook the aumuk without the skewers. 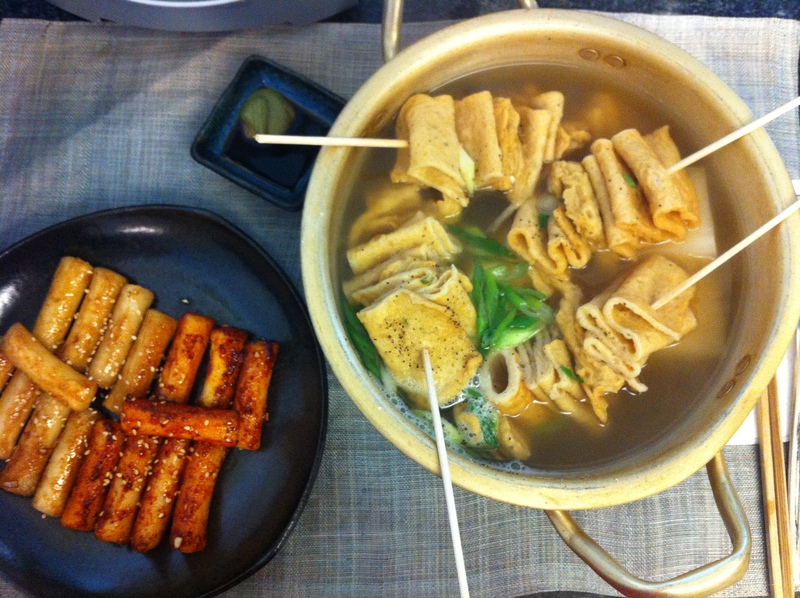 I like to make my amuk-tang with myulchi broth and serve it with a spicy dish such as ttuckbokki or osam-bulgogi. It is also nice to serve it with a side dish of soy sauce and a bit of wasabi to dip the fish cakes like at a sushi restaurant. 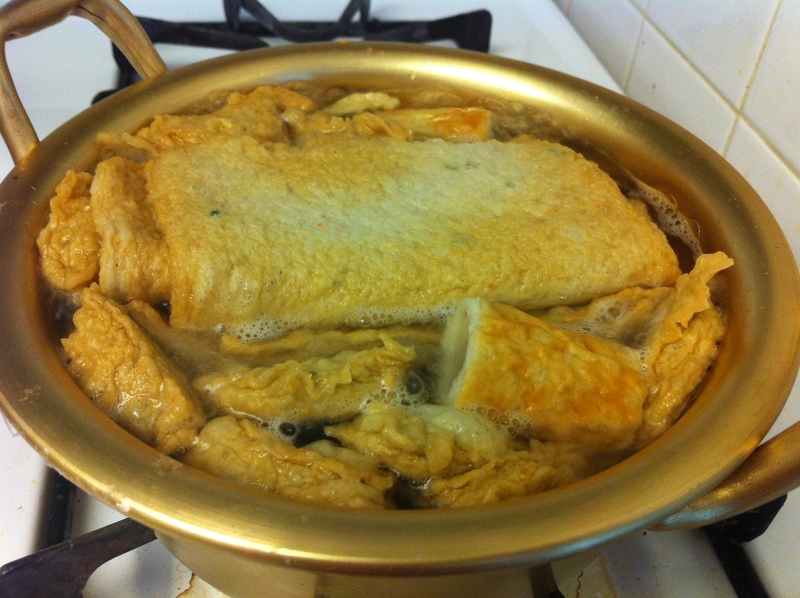 Make the myulchi broth with shitake mushrooms and moo (or daikon). 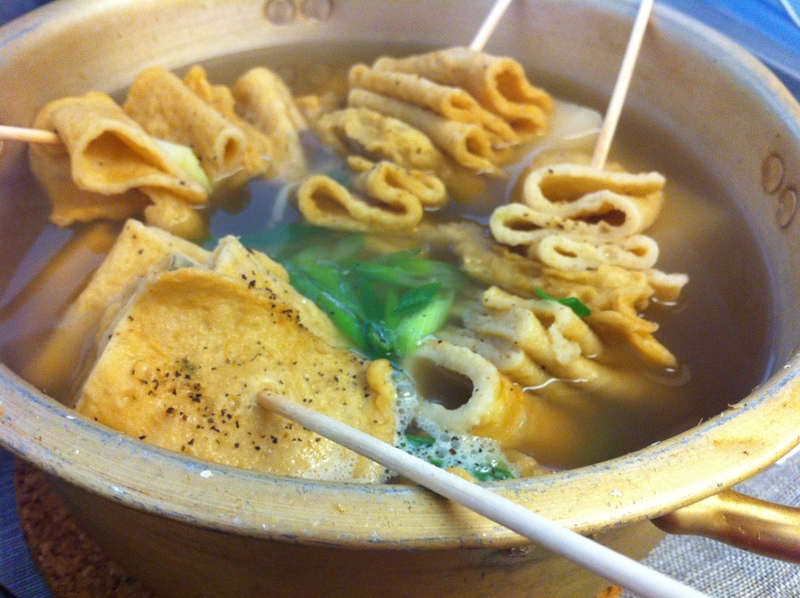 If you already have myulchi broth, simply add the mushrooms and moo and brew the broth until the moo is soft. In the meantime, quickly cook the aumuk in boiling water and strain. This removes the excess oil from the fishcakes but you can skip this step if you are in a rush. 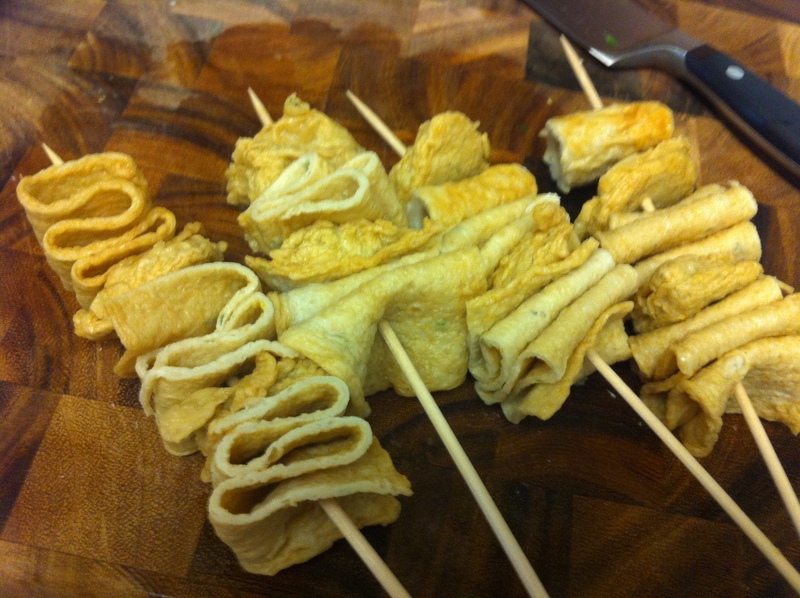 Cut the aumuk in smaller strips if you are using the flat rectangular kind and place your aumuk (어묵, fishcakes) on bamboo skewers if you like. Add the fishcakes to the pot and season with garlic, sake, gukganjang (국간장, Korean soy sauce), salt and pepper. Cook for about 10 minutes. Finish with the scallion and cook for another minute or so then serve. This entry was posted in Good for dinner, Good for lunch, Soup/Stew (국/탕/찌게) and tagged Aumuk, Fishcakes by gangnamkitchen. Bookmark the permalink.